Edition Originale is born from the desire to offer a range of high-end creations. 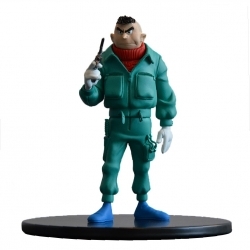 Edition Originale sculptors deploy all their energy and talent to recreate 3D figurine from world comics. 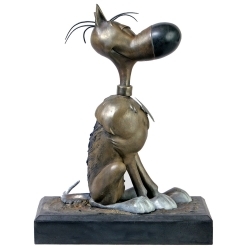 Bronze Statue Edition Originale (BD Flash), Samuel Boulesteix 100% made in france: Lucky Luke, Rantanplan. Limited edition and numbered 85 copies with certificate of authenticity. 35cm (7kg). Each statue is a unique piece with variations of patina. 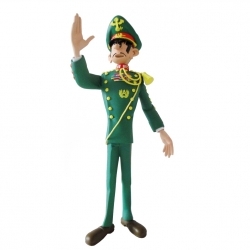 Zantafio: high quality resin figure from Edition Originale, hand painted. 80 copies, accompanied by a numbered certificate. 22cm. 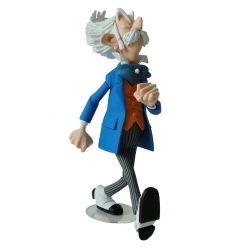 The Count of Champignac: high quality resin figure from Edition Originale, hand painted. 100 copies, accompanied by a numbered certificate. John Helena The Moray: high quality resin figure from Edition Originale, hand painted. 80 copies, accompanied by a numbered certificate. 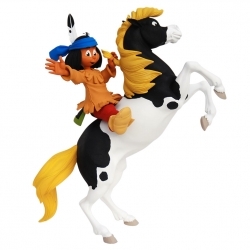 Yakari and his pony Little Thunder: resin statue molded, assembled and handpainted in Edition Originale Workshop (100% Made in France). Limited edition to 150 units. Accompanied by a signed and numbered certificate.